I received an edible arrangement today from a friend for helping with her web design class. I have seen these before but never tried them nor received one until now. 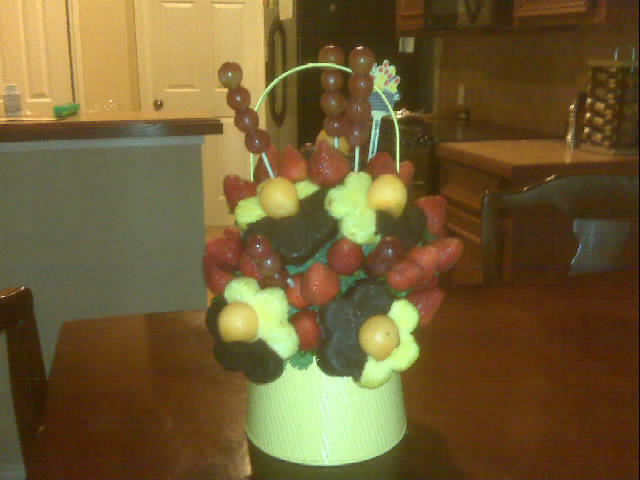 I enjoy fresh fruit but don’t eat it as often as I should, so this was a welcome treat.